I’ve been a fan of global collaboration for the last decade or so. There are many reasons why I enjoy flattening my classroom walls — developing global competency is a must, global collaboration can bring learning to life, and it’s fun! 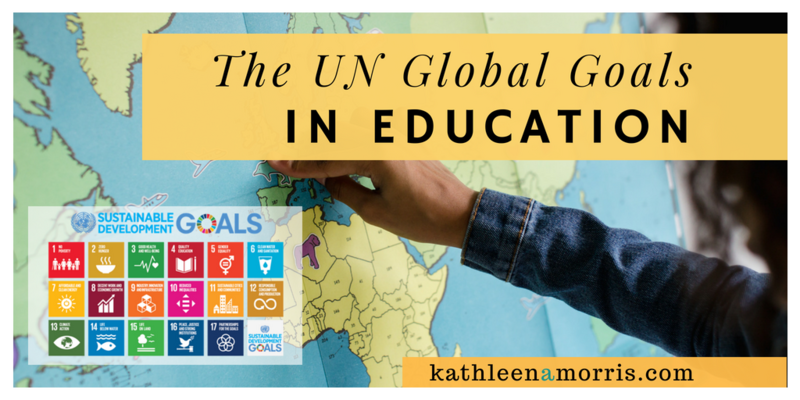 Lately, I’ve been following with interest the United Nations Global Goals and how they can apply to education. 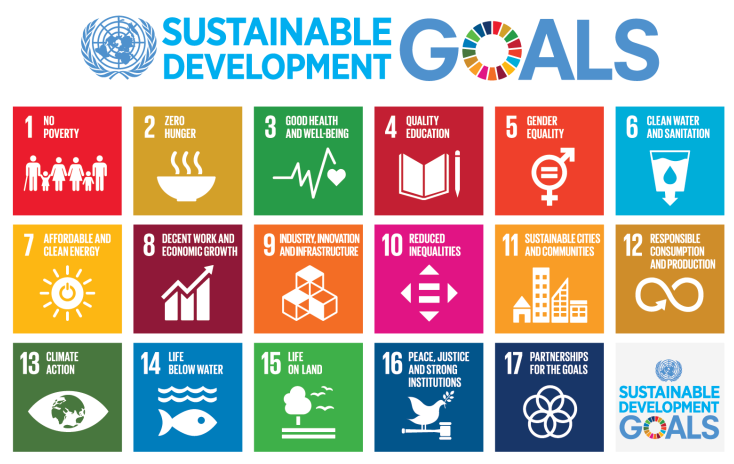 This post explains what the Global Goals are and gives some ideas on how students and teachers can take action on these goals. In 2015, the United Nations announced the Sustainable Development Goals (SDGs); these are also known as the Global Goals. The leaders of all 193 member states of the United Nations agreed on the 17 goals for a better world by 2030. Below is a visual summary and you can read more about each goal on The Global Goals website. This video was put together with celebrities to announce the goals. 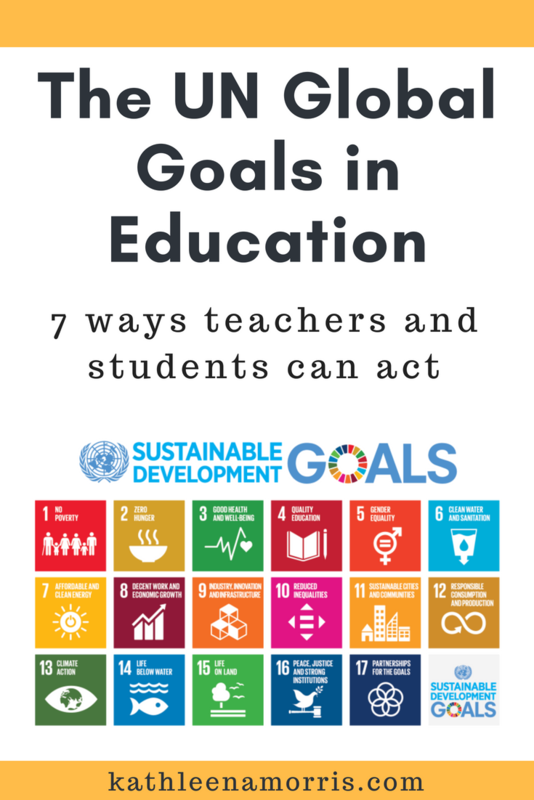 How Can Teachers And Students Take Action With The UN Global Goals? No doubt, you’ll agree that these goals are important, but to say they’re ambitious is an understatement! What can we as teachers do to help? Here are seven ideas. The Global Goals YouTube channel has some nice short videos that provide a good introduction. There are also some fantastic cartoons for younger children on this Vimeo channel. Better yet, have students investigate what the Global Goals are for themselves. There are also some excellent resources on the World’s Largest Lesson page. Developing global competence is a must if we expect future generations to work together to solve some of our world’s big problems (as outlined in the Global Goals). Additionally, we want our students to thrive in a changing labour market and live harmoniously together. All this can begin with regular and authentic interactions with others around the world. Check out my guide to getting started with global collaboration for lots of ideas and entry points. All teachers know the power of storytelling! There are some free online stories and comics that address different Goals on the World’s Largest Lesson page. TeachSDGs is an excellent community dedicated to promoting and assisting educators to teach with the Goals. You can also join the global community of educators passionate about the Goals on Participate. There are a number of free online courses available to learn more about the Global Goals. One is run by Microsoft, and others are on the Participate platform. For the goals to work, people need to know about them. You can use the hashtag #GlobalGoals on social media and download the app. You can also spread the word to your offline connections including family, friends, colleagues, and the school community. Helping to raise awareness about the Global Goals can make a difference! This free initiative introduces the Goals to children and young people everywhere and unites them in action. 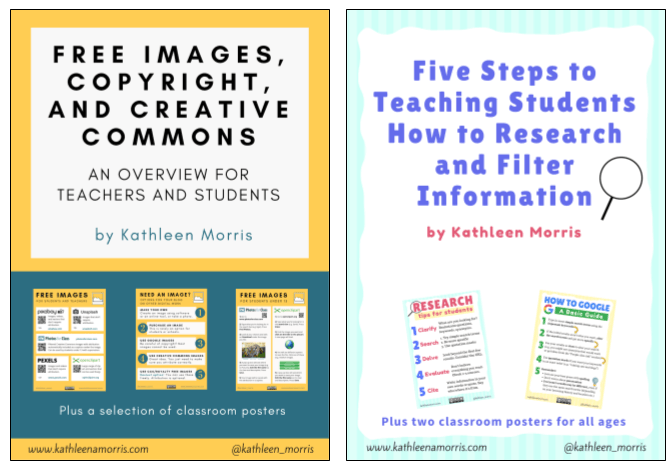 There are resources for educators to teach lessons, run projects, and take action in support of the Goals. 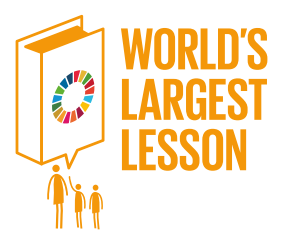 The World’s Largest Lesson begins September 24. Register and find out more. Overview of The Sustainable Development Goals Report 2018 — This is a report card on how we are going with achieving the goals, 3 years in. A Guide to the Goals for Children and Young People — This is a resource you could print for students, or you could use snippets of it as you wish. 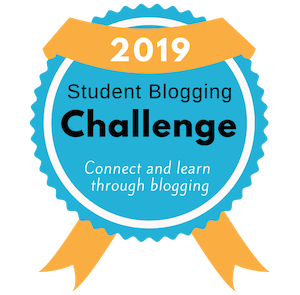 How To Connect with Other Classes Around the World Through Blogging — My post on how to find others around the world to connect with. The Global Goals are certainly ambitious but those in education are fortunate; we are in a position to take small steps towards making a change and influencing others. Even if you don’t have the time or class to run a project this year, just helping to spread the word about the Goals can make a big difference! Personally, I love the way the Global Goals can offer a framework around global collaboration in the classroom. When you use technology to connect with others around the world, your goal might be big or small. Sometimes, you might work with another class to actively address one of the 17 Goals. At other times, the simple act of communicating with diverse cultures can help build the global competence students need to work with others in the future. After all, what more can we want than to have everyone work together to make the world a better place? Thank you to Ines Pinto who has translated this post into Portuguese. Please share this link with anyone you think could benefit! Do you have any other resources to add? Please let me know! If you haven’t already signed up for my email newsletter, maybe you’d like to? Twice a month, I showcase the blog posts I’ve written and other useful links, tips, or resources I’ve come across. When you sign up, you’ll also get instant access to my two eBooks. 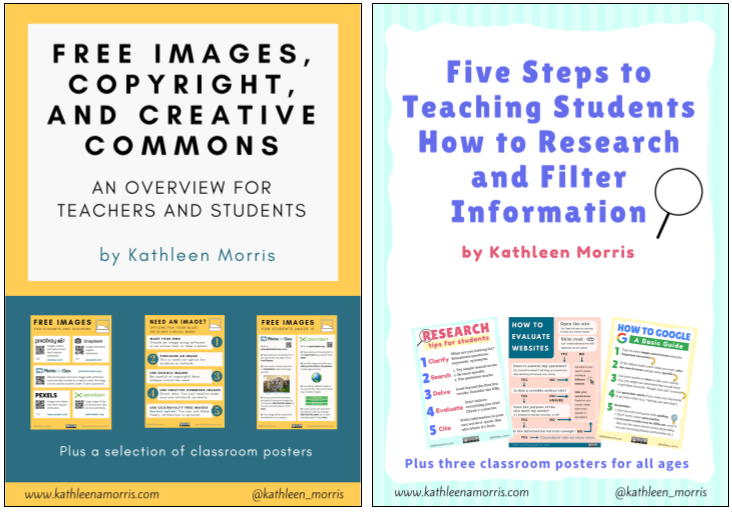 The first one explains a straightforward 5 step process for teaching students how to research and filter information. 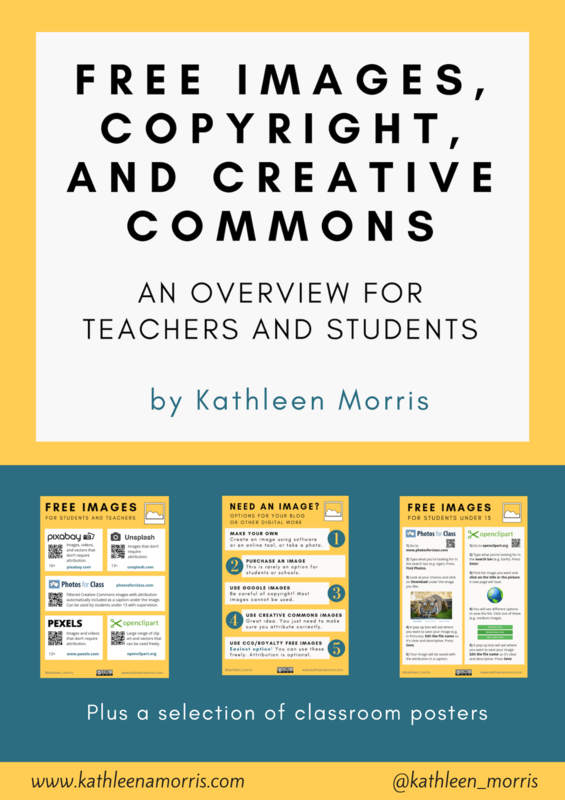 The second eBook simplifies the topic of free images, copyright, and Creative Commons. These are both suitable for primary and secondary teachers and include a selection of classroom posters. Another awesome post, Kathleen, on such an important issue. Thank you, Alexandra! Always great to hear from you. Thank you for you neat and inspiring post! I’m trying to be back online again, but I’m in search of a site where I can encrypt my students work. So far, our intranet at School will take a long time, but I’m allowed to move ahead on my own. Meanwhile, we have been working the Global Goals along the third Trimester, mainly through the participation in the first week of the Innovation Project, run by Koen Timmers; we have also discussed the “Worlds Largest Lesson” in different classes and we have distributed the small paper chains that kids use as bracelets, each with a different Goal. Right now we are preparing next school year, and so far, we chose Goals 14 and 15 for a long-range project. I have just finished translating your post. Will you allow me to translate it in our “Edublogs” blog – “etranslations.edublogs.org”? It would be easier to spread the word about the Goals. If it won’t be possible, please don’t worry. I miss our conversations and I hope to be back again soon. Great to hear from you. It must be difficult with your new European regulations in place. I’m glad you can move ahead on your own. Your project work sounds terrific! You’re very welcome to translate my post and I appreciate you doing it. Thank you and I hope you’re enjoying some lovely summer weather! Thank you so much for allowing me to translate your post! I must go pro to embed the video code. For the moment I have just inserted the link to the video. Now, I’ll explore the links you gave to enrich our project at school. We are enjoying a lovely summer: it looks more like spring, which suits me better than a too hot season, but most of our kids are already on the beach! I wish you a wonderful free time to spend with your family too. Well done, Ines. You are so clever to translate like that. Thanks for sharing. I have added the link to the post and shared it on Twitter.